This is how you feel about yourself when you’ve been told for the past 15 years how bad you are at life. There seems to be confusion regarding the years Millennials were born. 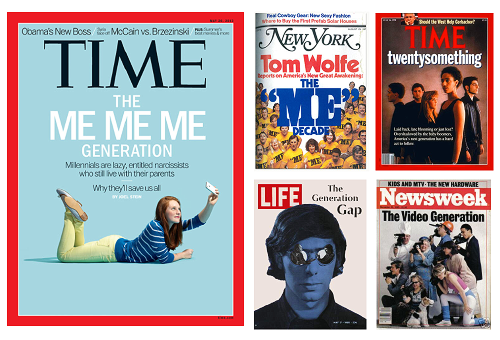 Most researchers argue that Millennials are born between 1980 and 1996. 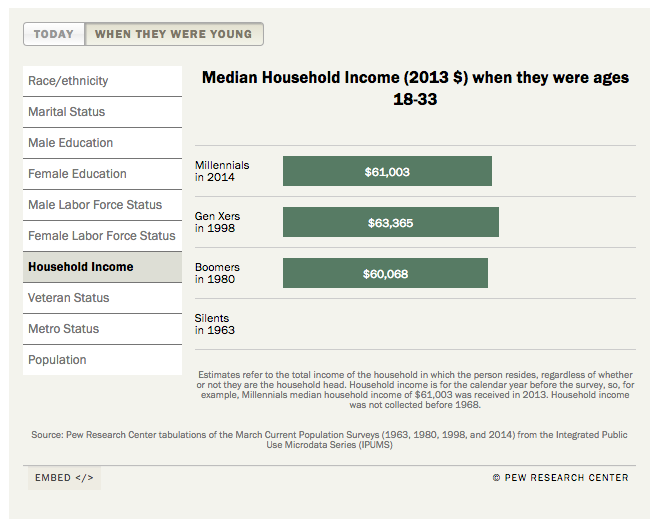 Yet, the Pew Research Center, perhaps the most authoritative perspective, puts Millennials between 1977 and 1992. A myth has been spread by confused gurus which have been accepted by the masses. Most notably, Simon Sinek, author of Start with Why, recently did an interview that has struck a nerve among many of the Millennial hate-mongers. 2. Myth: Millennials are different from their parents and grandparents. Fact: Millennials are similar to their parents and grandparents when they were the same age, under new circumstances. “They want roughly the same things regardless of when they were born: to be given interesting work to do, to be rewarded on the basis of their contributions and to be given the chance to work hard and get ahead (The Economist). Median Household Income (2013 $) when they were ages 18–33: Boomers: $60,068, Gen Xers: $63,365, Millennials: $61,003 (Pew Research). 3. Myth: Millennials are unsatisfied with work. Fact: “Compared to Boomers and Gen Xers, Millennials reported higher levels of overall company and job satisfaction, satisfaction with job security, recognition, and career development and advancement, but reported similar levels of satisfaction with pay and benefits and the work itself, and turnover intentions” (Journal of Business and Psychology). 4. Myth: Millennials lack loyalty to their employer. Fact: “Contrary to popular perceptions Millennials actually stay with their employers longer than Generation X workers did at the same ages. This reflects the fact that Millennials face a labor market characterized by longer job tenure, fewer employer switches and other types of career transitions, and lower overall fluidity in the labor market. 45 Figure 20 shows that Millennials are less likely to have been with their employer for less than a year than Generation X workers were at the same age, and they are more likely to have been with their employer for a fairly long period like 3 to 6 years” (The White House 15 Economic Facts About Millennials). 5. Myth: Millennials don’t know how to work (bad work ethic). Fact: “The finding that generational differences in the Protestant work ethic do not exist suggests that organizational initiatives aimed at changing talent management strategies and targeting them for the ‘very different’ millennial generation may be unwarranted and not a value added activity,” Zabel said in a news release. “Human resource-related organizational interventions aimed at building 21st century skills should therefore not be concerned with generational differences in Protestant work ethic as part of the intervention” (The Journal of Business and Psychology). 6. Myth: Millennials were subjected to “bad parenting” strategies. Fact: Millennials have close relationships with their parents, and as high school students, roughly half say that it is important to them to live close to their friends and family, compared with 29 percent of Baby Boomers and 40 percent of Generation Xers (The White House 15 Economic Facts About Millennials). 7. Myth: Millennials aren’t equipped to handle the world’s challenges and need a corporate parent. Fact: “While there are substantial challenges to meet, no generation has been better equipped to overcome them than Millennials. They are skilled with technology, determined, diverse, and more educated than any previous generation” (The White House 15 Economic Facts About Millennials). 8. Myth: Millennials are lazy. Fact: “CEB, a consulting firm, polls 90,000 American employees each quarter. It finds that the millennials among them are in fact the most competitive: 59% of them, in the latest poll, said competition is “what gets them up in the morning”, compared with 50% of baby-boomers. Some 58% of millennials said they compare their performance with their peers’, as against 48% for other generations” (The Economist). 9. Myth: Millennials won’t do what they’re told at work. Fact: “In a poll of 5,000 workers…found that 41% of millennials agreed that “employees should do what their manager tells them, even when they can’t see the reason for it,” compared with 30% of baby-boomers and 30% of members of generation X (born between the mid-1960s and 1980)” (The Economist). 10. Myth: Facebook causes depression. Fact: “We did not find evidence supporting a relationship between SNS use and clinical depression. Counseling patients or parents regarding the risk of “Facebook Depression” may be premature” (The Journal of Adolescent Health). 11. Myth: Millennials don’t believe in education and aren’t educated. Fact: “Today’s young adults (Millennials ages 18 to 33 in 2014) are much better educated than the Silent generation. The educational trajectory of young women across the generations has been especially steep. Among Silent generation women, only 7% had completed at least a bachelor’s degree when they were ages 18 to 33. By comparison, Millennial women are nearly four times (27%) as likely as their Silent predecessors to have at least a bachelor’s degree” (Pew Research). Fact: Corporations need work from Millennials, but Millennials have a choice to work for corporations or themselves. Millennials believe (or know) they can make money online, work anywhere and on their own time. Corporations need to remember that “she who cares less wins.” The people who care less tend to have options. Millennials have options for work, corporations don’t have options for labor…unless they choose artificial intelligence. 99.7% of all businesses in the USA are small businesses (defined as 500 employees or less). 13. Myth: Millennials don’t value security or prestige like previous generations. Fact: Millennials value security and prestige like previous generations, but don’t find it in 401(k)s and titles. Millennials saw what happened to their parents and grandparents jobs, income and retirement accounts. A Gen Y told me yesterday that he doesn’t “trust” 401(k)s. Why would he? Millennials tend to value 1) paid time off (PTO), 2) freedom and flexibility anchored by a Results Only Work Environment (ROWE), and 3) location autonomy…over 401(k)s and titles. 14. Myth: Millennials are Financially Illiterate. Fact: Millennials are financially literate. One of the biggest myths about Millennials is that they are financially illiterate and will have not be able to retire (in a time when there may not be social security available). Imagine the caveman who invented the wheel claiming his kids and grandkids are lazy and entitled because they ride bikes. Imagine the caveman who harnessed fire to cook meat claiming his kids are wimps because they don’t eat raw meat. Now, imagine a kid back in the day being asked by his dad to stand up from the couch and go change the channel on the TV by turning the dial. Then, imagine this same kid growing up and becoming a dad himself. The dad looks at his son and instead of saying “thanks!” and changing the channel, he sets the remote down and gives him a lesson on talking back, the value of hard work and then calls him a name and forces him to get up and turn the dial on the TV. The only problem for the son is that…there is no dial on the TV anymore. That’s what is happening in our workplace today. THIS is the conflict. 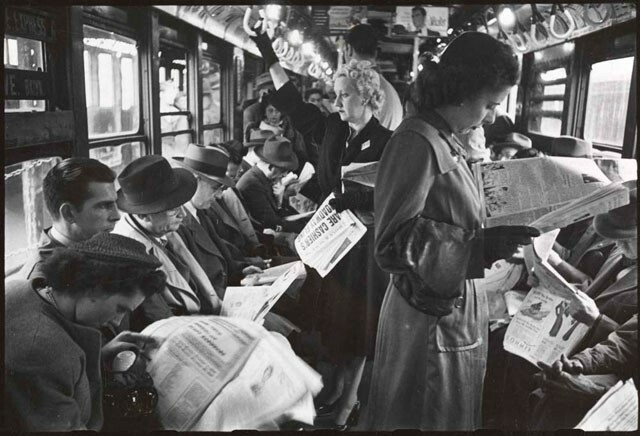 The youth aren’t lazy, they’ve been given technology by previous generations and they know how to leverage it. Anything that can be done by a machine, will be done by a machine. Work will change to things that can’t be done by machines. The same way you choose to spend your time on work other than washing your clothes by hand (like they still do in certain parts of Brazil where I used to live), the future of work will allow you to spend your time leveraging time doing work machines don’t do. Millennials will enter an era of leveraging the new rules and tools of work afforded them by tech. They have access to knowledge at a level unseen by any generation. A similar thing happened to the world and with a disintegration of power from the top with the invent of the printing press. It’s a good thing. It’s called transparency, trust, freedom and independence. Sort of sounds similar to principles that the founding fathers of the USA gave their lives for. 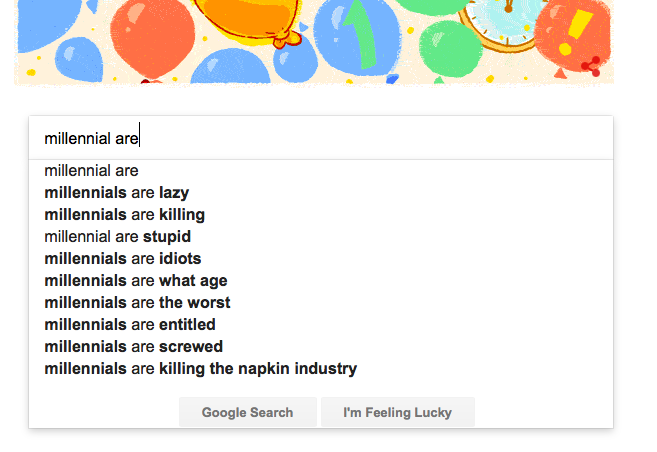 But, what is it again that the science says about Millennials being entitled? If you’re a millennial and are ready to live your dreams, download my 9-page Millennial Checklist (power sheet). Never believe the notion that you are entitled again. Please comment below with your experience. 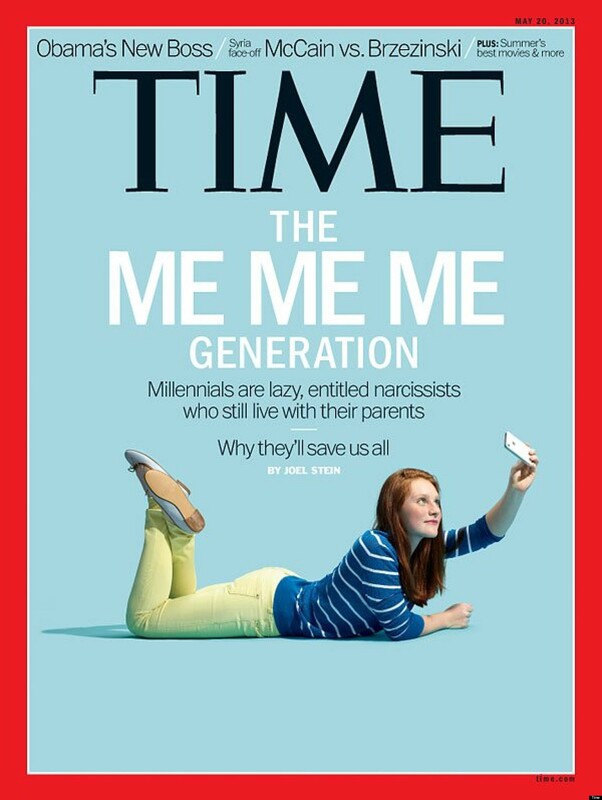 If you picked 10 of your Millennial friends in your neighborhood, would the majority of them fit the “Millennial Myth” as lazy, entitled, bad parents and Facebook addicted? Curious.